Will it be steam or diesel? You never know until you get there. Whatever mix of traction you get, there won’t be a lot of trains. Pingzhuang has never been busy and is even quieter since the washery closed. 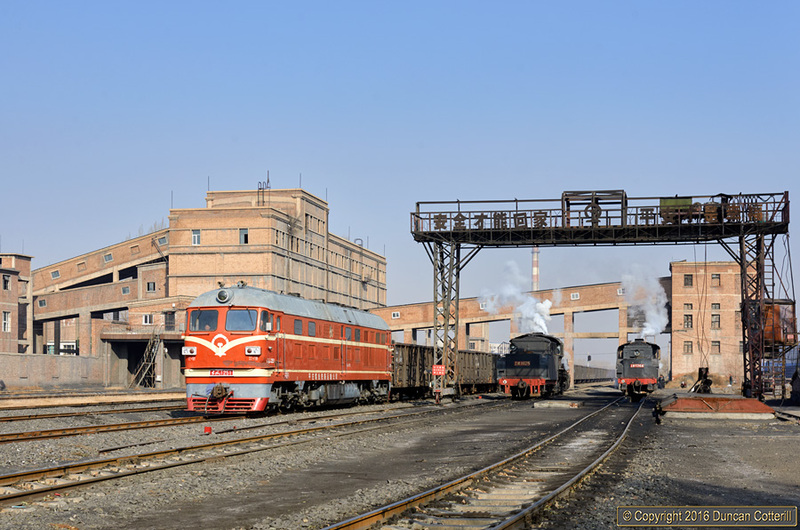 DF4.1251 crawled through Zhuangmeizhan with a loaded coal train from Lijing Mine to the CNR interchange at Pingzhuang Nan on 17 November 2016, passing SYs 1425 and 1764 stabled at the servicing point. This was the only train on the system all day and the SYs did no work at all.